The Ferris SMR is an easy to read, flush mounted solar charge control that displays the charging current of your solar panel(s) while protecting the battery(s) from overcharge. 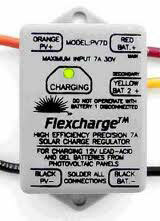 The full scale ammeter provides charging current readout, at a glance. 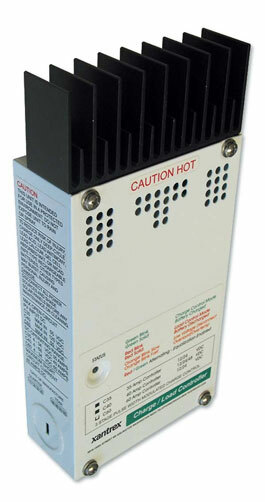 The SMR is available in a 5 and a 10 amp format. Both SMR's have dual isolated outputs. This unique feature allows you to charge two separate battery(s) or battery banks at the same time, while keeping them electrically isolated. Years of proven reliability, ease of installation & low cost make the SMR an industry favorite. An optional surface mounting box is available. Available in outputs from 35 to 60 amps, these controls use an advanced 3 step smart charging process. The C-series have fully adjustable set points and are used in thousands of installations the world over. These controls are easy to install and have a proven track record of reliability. All are housed in a rugged aluminum chassis, providing simple surface mounting. Designed for smaller installations, these solar controls are 100% solid state, compact and very affordable. They are completely encapsulated in epoxy for extreme weather durability and are housed in a small surface mount chassis. Choose the model with the ratings best suited for your installation and power requirements. 5 year warranty. The PV-7D & PV-7D/24 solar charge controls are dual isolated output models designed to charge two separate battery banks, at the same time. Proven weatherproof encapsulation provides reliability in the harshest environments. Simple 5 wire hookup, complete with inline fusing, make this controller a great choice for a fast, reliable installation.